Situated in Ravenna, this townhouse accommodation is within 12 mi (20 km) of Museo D'Arte della Citta, Dantes Museum, and Mirabilandia. This is a nice hotel, good breakfast and good to reach by car. The city center is on the other side of the railroad tracks, but within walking distance. Appartamento tenuto benissimo pulizia ottima rapporto qualità prezzo eccezionale a 10 minuti dalla stazione ferroviaria e dal centro storico. Where to find Ghibullo hotels near an airport? 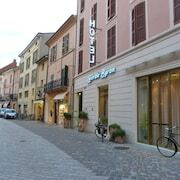 Where can I find hotels in Ghibullo that are near tourist attractions? Going to Ghibullo? There's an extensive selection of short- and long-stay accommodations from which to choose. You will find 29 accommodation options within 0.1 kilometres (0.06 miles) of Ghibullo's downtown in Expedia's informative and up-to-date booking section. Within driving distance of Ghibullo, are the Hotel Residence La Reunion and Al Battistero. You could also check out the Hotel Palace as well as the Vistamare Suite. 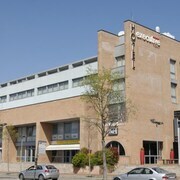 The Hotel Palace is 19 kilometres (12 miles) from the heart of Ghibullo. The Vistamare Suite, is situated 17 kilometres (10 miles) away. Some more hotel options in this area include the Hotel Waldorf - Premier Resort and the Hotel Premier & Suites - Premier Resort. Looking for more things to do? Why not spend some time visiting Adriatic Golf Club Cervia and Casa delle Farfalle, which you'll find in Cervia, 19 kilometres (12 miles) to the southeast of Ghibullo. 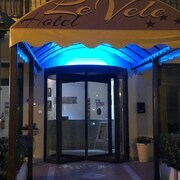 If you'd like to stay in Cervia, check Expedia's booking pages for the latest deals at the MarePineta Resort and Paradiso Hotel Bovelacci. 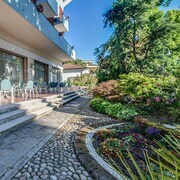 20 kilometres (13 miles) to the southeast of Ghibullo, you may also choose to stay at Pinarella, home to the Hotel Michelangelo and Hotel Le Palme - Premier Resort. If you're staying in Pinarella, a couple of places to add to your itinerary are the Kartodromo Happy Valley and Bagno Jolly 79. Get your sporting fix with a trip to Stadio Artemio Franchi, which is 95 kilometres (58 miles) to the southwest of Ghibullo. 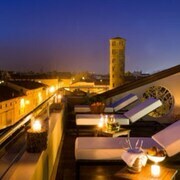 Stay right near the action at the Four Seasons Hotel Firenze or the The St. Regis Florence. If you are traveling into or out of Federico Fellini International Airport and choose to stay nearby try Best Western Hotel Nettunia or i-Suite Hotel. 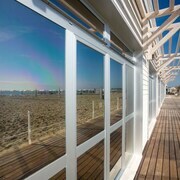 What are the most popular Ghibullo hotels? Are there hotels in other cities near Ghibullo? What other types of accommodations are available in Ghibullo? Explore Ghibullo with Expedia.ca’s Travel Guides to find the best flights, cars, holiday packages and more! Toronto Suite Rentals - Maple Leaf Sq.